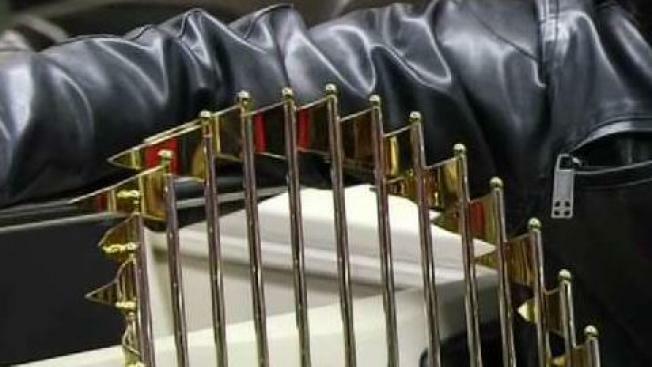 The Red Sox have been spreading cheer through the #GiftOfSox, including a World Series trophy presentation on the Green Line and an appearance by Wally the Green Monster at an elementary school in Boston. 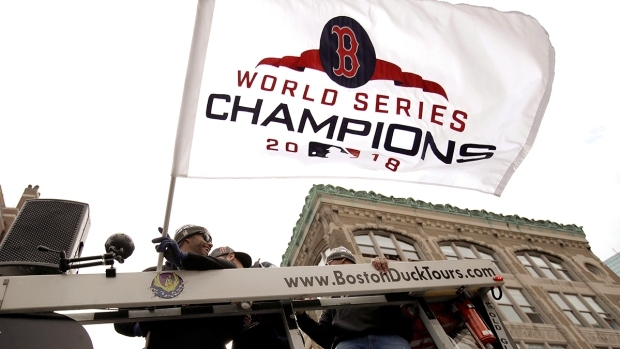 The Boston Red Sox are looking to improve Fenway Park's bleacher seats and add a new function room. According to the Boston Globe, the team submitted a letter of intent to Boston planners on Tuesday that included new concessions areas, restrooms and other improvements behind the bleacher area. The team is also looking to build a new function space that can house large groups and private events. The area would have views of the field. Another proposed improvement is a planned 5,000-seat performing arts center to be built on land next to Fenway.